Recheado Masala is a mix of spices with Red Chilly being the main ingredient. Its red color looks fiery but since it is soaked in Vinegar the chilly does not over power the taste of the fish. In Goa Recheado Masala is used not only for fish , but also for prawns, other meat and vegetables. It is also used to preserve fish and prawns before monsoon to use during monsoon season. 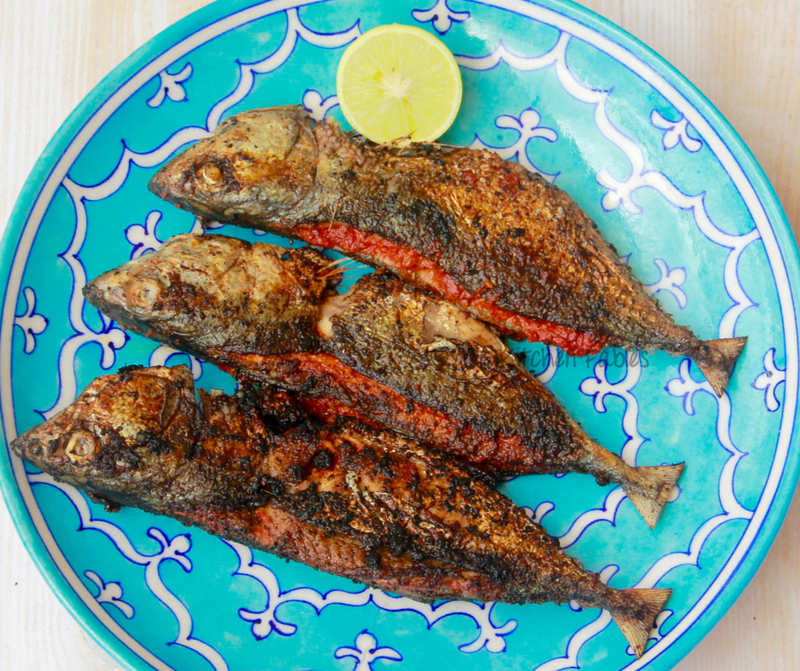 Fish used for Recheado Masala Fish Fry should be small fish that can be stuffed with masala and fried individually. 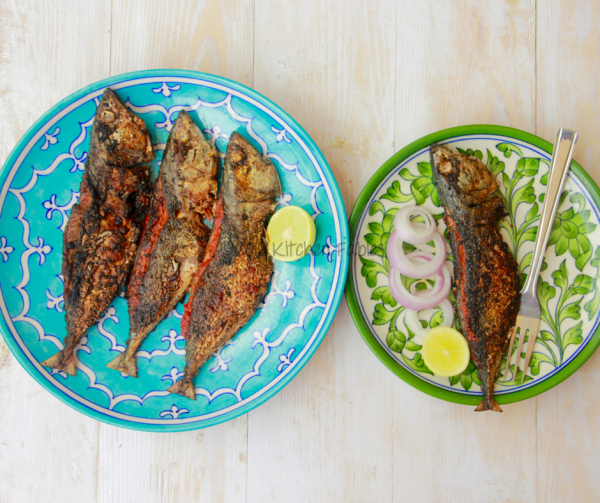 Mackerel also known as Bangda and Pomphret is the preferred fish. 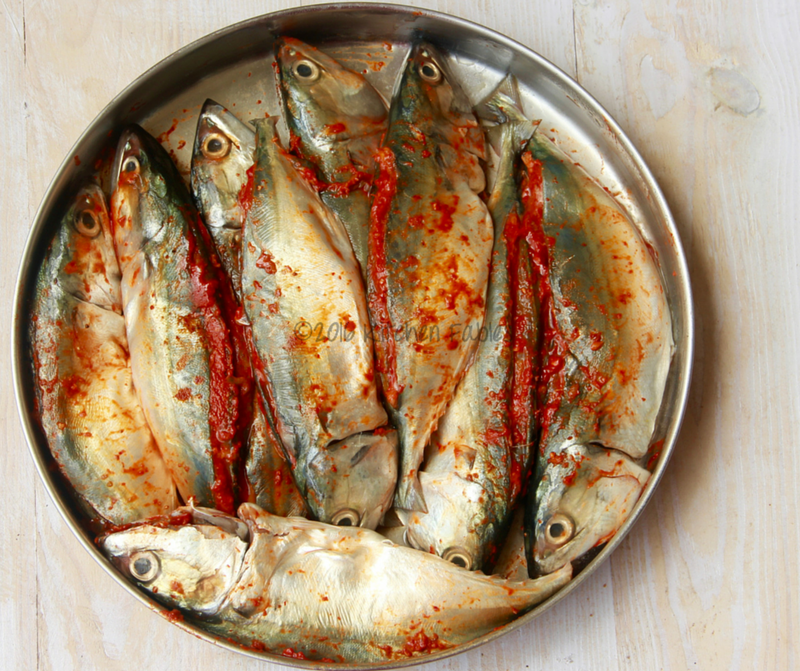 Mackerel is an oily fish high in Omega 3 oils and full of flavour. The flesh should be firm and shiny. Press it with your finger, if it bounces back , the fish is fresh. If it leaves and impression, the fish is not fresh. Eyes of the fish should be clear and not cloudy. The gills of the fish should be pink / red and wet. It should not be dry or slimy. 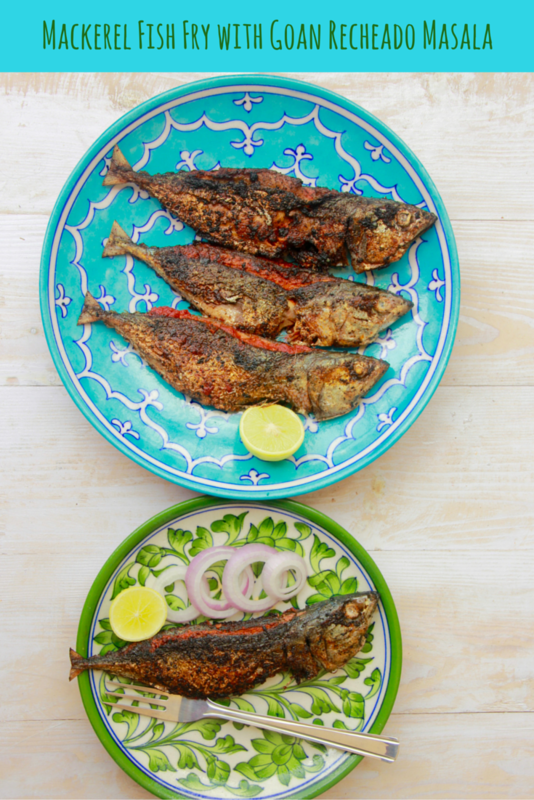 The Recheado Masala Fish Fry is dry and can be served as an appetiser or as a side dish. I made it for lunch and served it along with curry and rice. Mackerel has bones in the centre and therefore care must be taken when eating it. Soak all the ingredients for Recheado Masala in Vinegar for 30 minutes. Make a fine paste in a mixer grinder. Wash and clean the fish and dry it well with a kitchen towel. 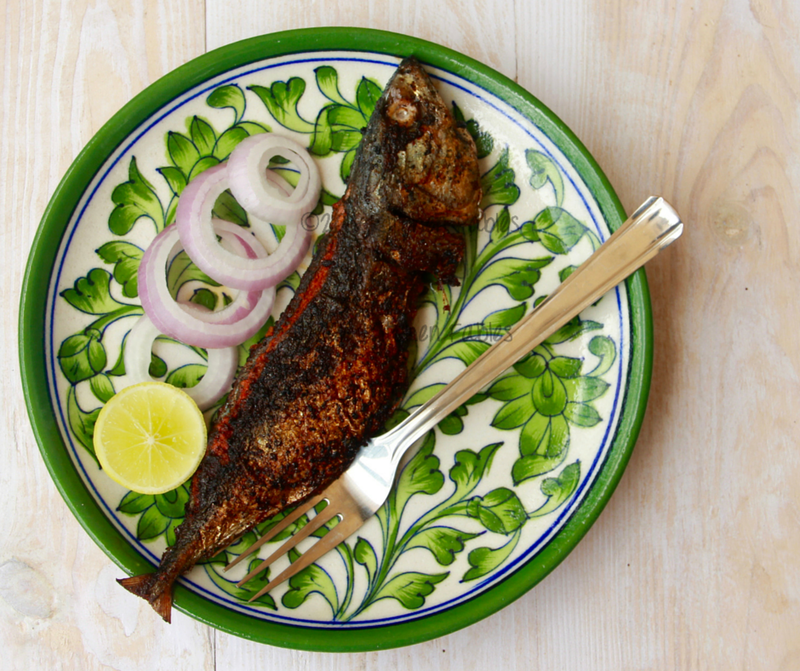 Slit the fish horizontally from both the sides of the bone ( to make a pocket) and stuff with Recheado Masala. Let it sit for 2-4 hours and then pan fry it. If you like squeeze a slice of lemon over it. Serve hot.